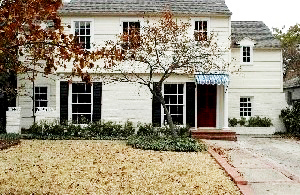 3644 Hanover, University Park - Coveted location on a beautiful stretch of Hanover. Hardwood flooring both floors, elegant kitchen with Viking range. Extra large den and master. Price $1,350,000. 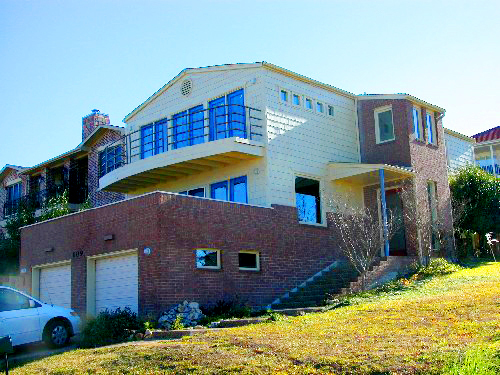 5 bedrooms/3.5 baths/formals/den. 3809 sqft. 70x160ft lot. 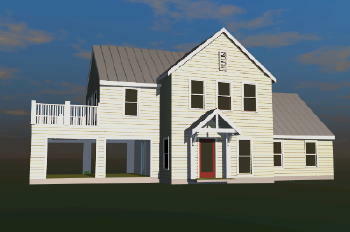 315 Harbor View, Rockwall - Lake Ray Hubbard house to be built. Weekend lake house or permanent residence. Sweeping lake views. Backs up to Marina. 24 miles from downtown Dallas. 1 mile from I30. Price TBD. 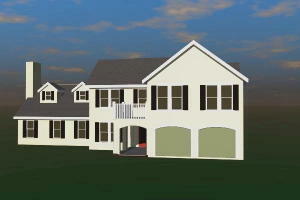 Three-level house with 3 bedrooms/3 baths/Formals/ Den/Play Room/Study (or 4th Bedroom)/Attic Loft (or 5th Bedroom). 3450 sqft. 3512 Amherst, University Park - 1946 house between Preston and Hillcrest, renovated in 2004. 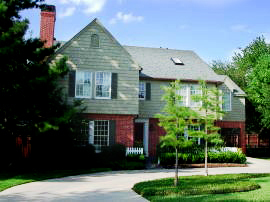 Super convenient location, walk to everywhere (school, pool, park, grocery, shops). 3 bedrooms/3 baths/formals/den. 2277 sqft plus 400sqft unfinished quest quarters. 62.5x140ft lot. 4329 Grassmere, University Park - 1940 Colonial newly renovated. On pretty block with lots of kids. Walk to HP stadium, restaurants, shops, movie theater. 4 bedrooms/3.5 baths/3 living areas/study/formal dining/breakfast/gameroom. 3151 sqft. 60x142ft lot with spacious backyard. Breakfast/Den/Play Room/Study. 3536 sqft. Third floor with additional 400 sqft pre-framed for future finish out. Guest House with full bath and 1 bedroom. 272 sqft. Second floor with additional 660 sqft pre-framed for future finish out. Three-level house with 3 bedrooms/2.5 baths//Basement/2 Balconies. 3064 sqft. Plan #1 Beach House. Only 36' wide for those extra narrow lots. Three-level house. Clean-lined good looks. At home on the water or on an infill lot. 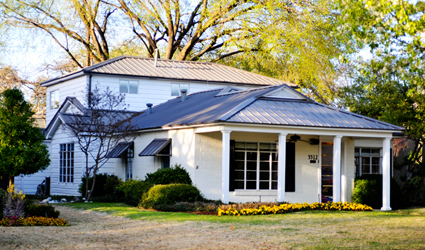 Stucco exterior, Metal Roof. 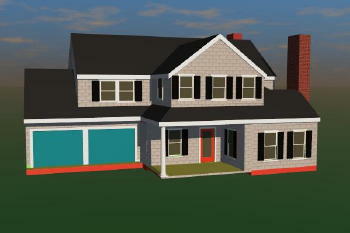 Plan #2 Shingle Style Cottage New England romance updated for modern living. 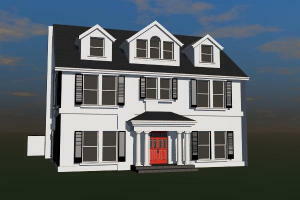 Old house charm for an infill location. Good on the water too. Small foot-print for more rear yard. Efficient yet comfortable for family living. 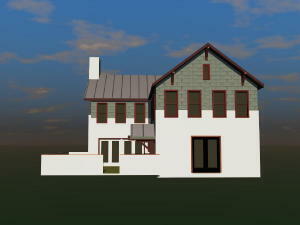 Plan #3 Farm House Revisited Designed as a weekend home. Cost-effective design. Garage has rear doors for easy boat storage (you can pull a boat through, don't have to back in). With the 4 garage doors rolled up, it's a large porch for entertaining/kids play. Hardiplank (fiber-cement) clapboards, Metal roof. Good form to look good by the water or in a meadow. 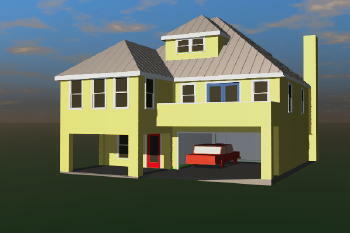 Plan #4 Courtyard House Stucco postmodern on the water. Wraps around a courtyard. Great indoor-outdoor house. Guest quarters over the garage. Garage has doors front and back for easy boat storage or to double as a large porch. Fits well on a small pie-shaped lot. 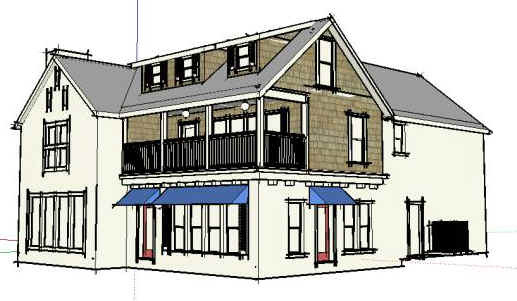 Plan #5 Southern Lakeside Painted-bricks colonial on the water. 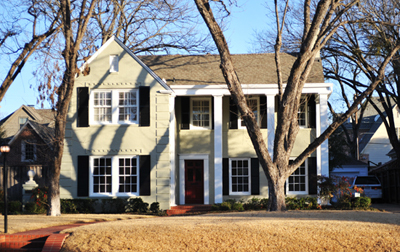 Gracious lines, southern style porches/balconies, looks good front and back. Open floor plan w/ high ceilings. Good for entertaining. Downstair master suite. 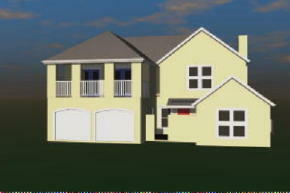 Plan #6 Courtyard House II Compact waterfront stucco with courtyard entry. Downstair master suite. Balconies front and back. 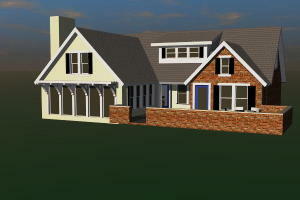 Plan #7 Courtyard House III Infill house styled after Florida's Rosemary Beach. Painted bricks ground level, cedar shingles upper. 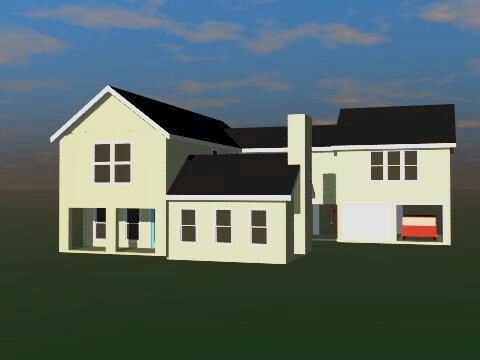 A courtyard house with rear-entry garage designed for an extra small infill lot (50x98). Moroccan fountain in courtyard. Expansive modernish interior with two-story ceilings and windows. Copyright moretrees.com. All rights reserved. Buyer to verify all information. Any information can be incorrect, outdated, changed without notice.